House Electrical Plan may look at first as a complex task as it requires a lot of expertise. 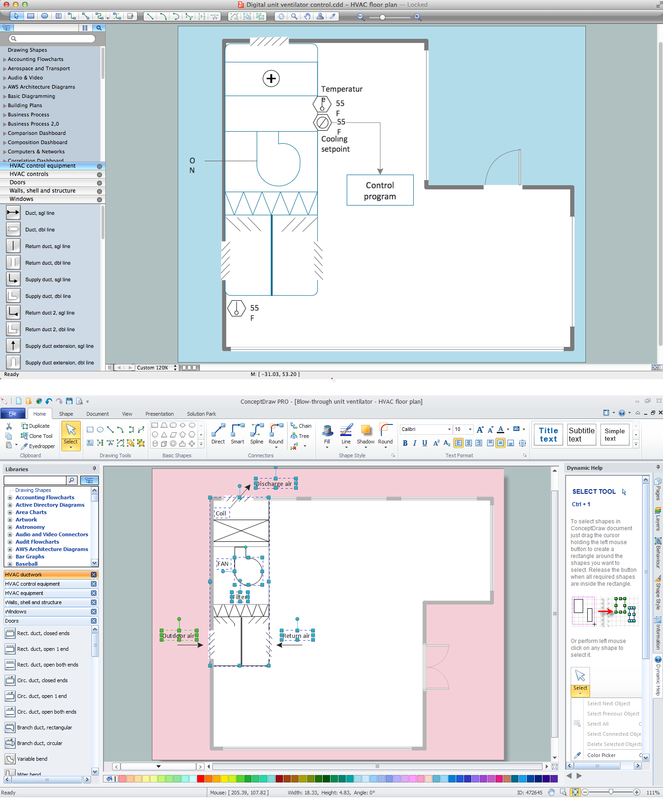 But don't be afraid to start with an all-inclusive floor plan software — ConceptDraw DIAGRAM It contains libraries with a large range of lighting and electrical symbols and ready-to-use samples and templates. So a home electrical diagram is necessary to plan out the locations of your switches, outlets, dimmers and lights, and to understand how you will connect them, before wiring your home. You don't need complicated drawing CAD tools, if you aren't drawing professionals. So ConceptDraw is your best solution when you map out utilization, decor, hobbies and the activities of the various residents. You can use many of built-in templates and examples of our House Electrical Plan Software. Start with the exact template you need then customize to fit your needs with more than 1000 electrical symbols and you will find expected result in minutes. 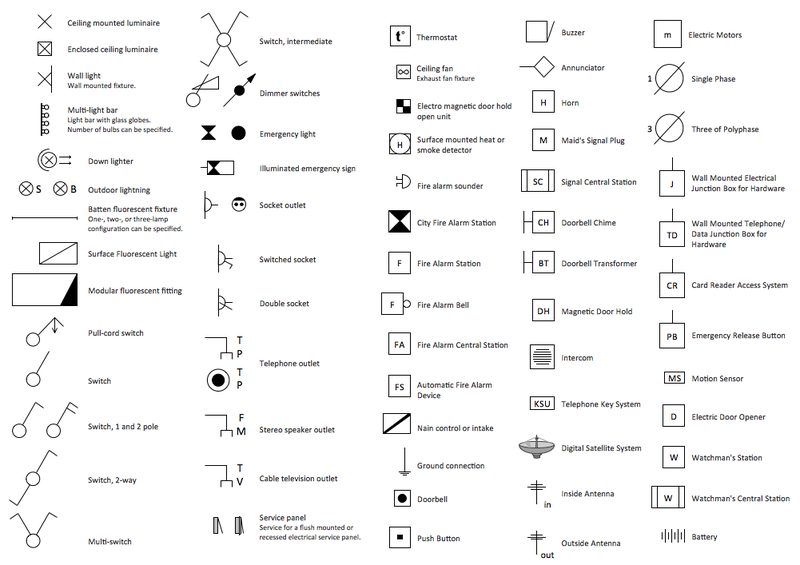 Electrical library contains symbols for electrical drawings, circuit schematic and wiring diagrams. 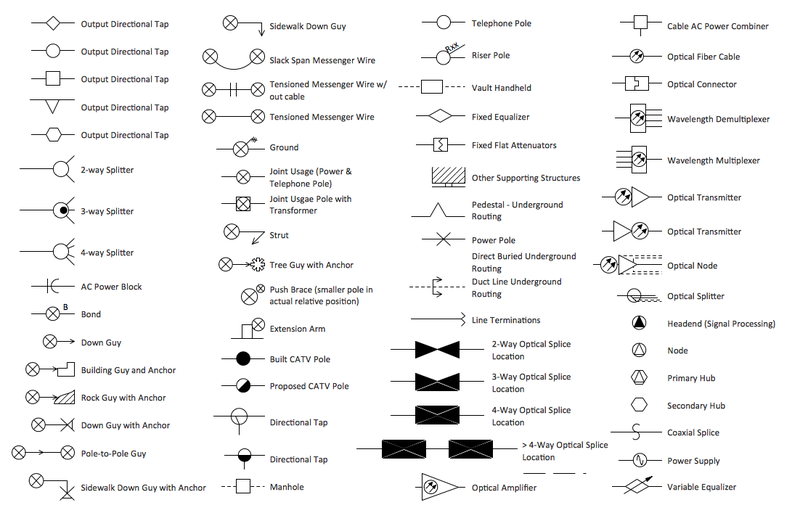 Electrical and Telecom library contains symbols for electrical drawings of electrical and telecommunication equipment and wiring in buildings, communication centers, power plants and electrical distribution systems. 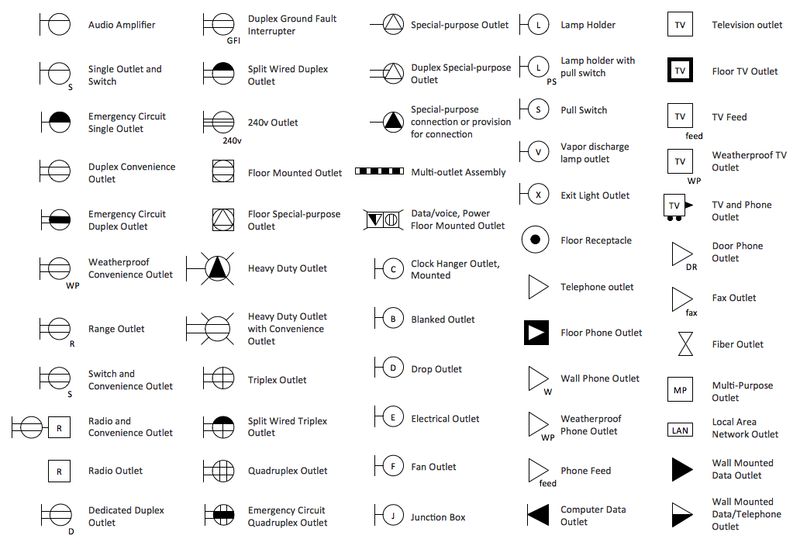 Outlets library contains symbols for drawing electrical circuit schematic. 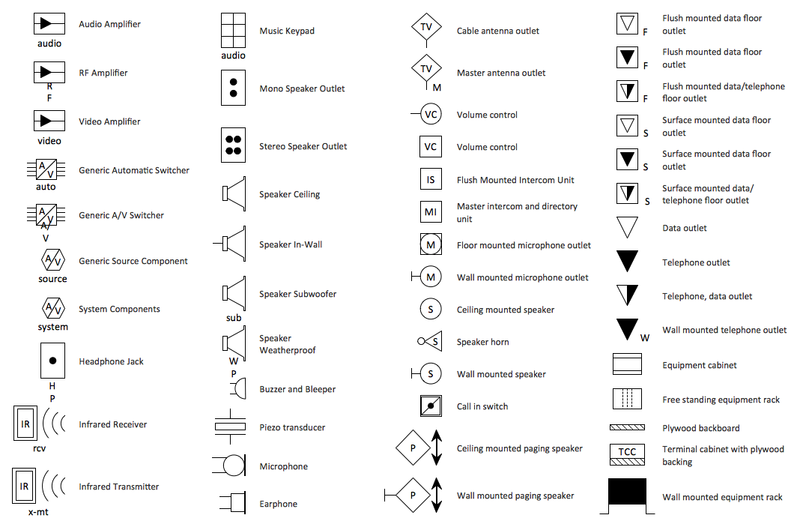 Video and Audio library contains symbols for drawing audio and video system design floor and building plans, cabling layouts, circuit schematic and wiring diagrams of video and sound reproduction systems. Cable TV library contains symbols of CATV network equipment. 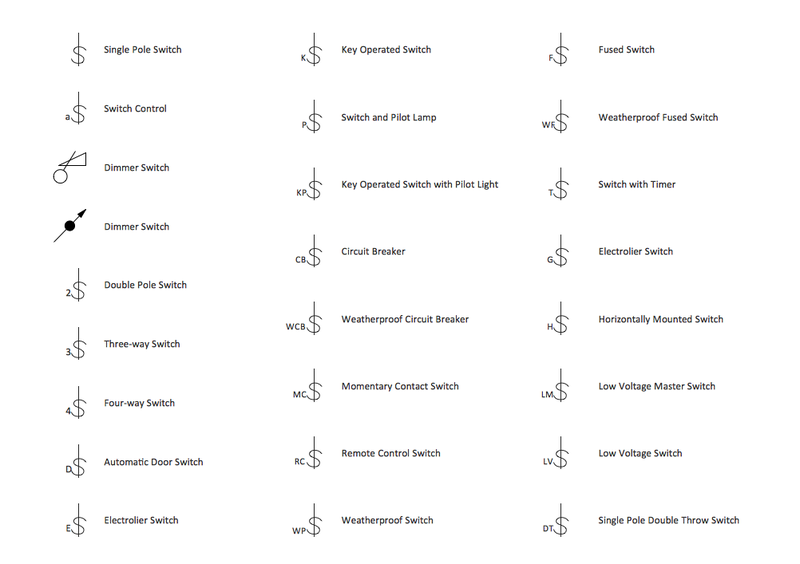 Switches library contains symbols for drawing electrical circuit and electric wiring. This example is created using ConceptDraw DIAGRAM enhanced with the Electric and Telecom Plans Solution from the ConceptDraw Solution Park. It shows the electrical devices location in the building and the scheme of electric wiring. House Electrical Plan Software works across any platform, meaning you never have to worry about compatibility again. 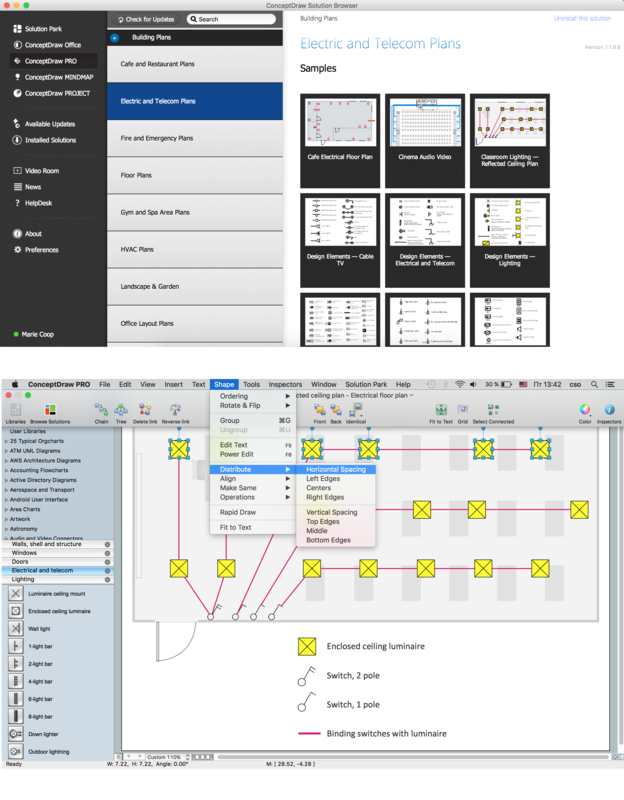 ConceptDraw DIAGRAM allows you to make electrical circuit diagrams on PC or macOS operating systems. Use it to develop the electrical and telecommunication floor plans for design and construction, including outlets, switches, and fixtures. A floor plan is a basic architectural diagram. It describes the relationships between rooms, spaces and physical objects. ConceptDraw Pro provides you with number of professional tools to help you create your floor plans quickly and easily. 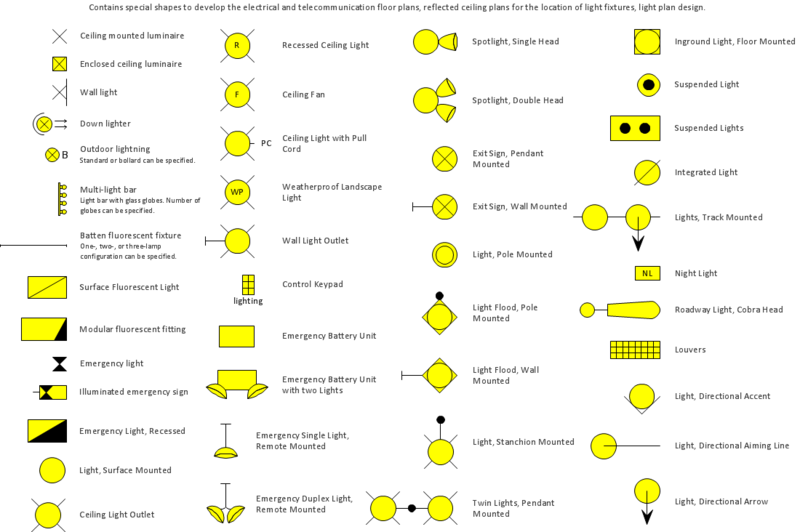 Commonly used symbols and their meaning for House Electrical Plan creating.